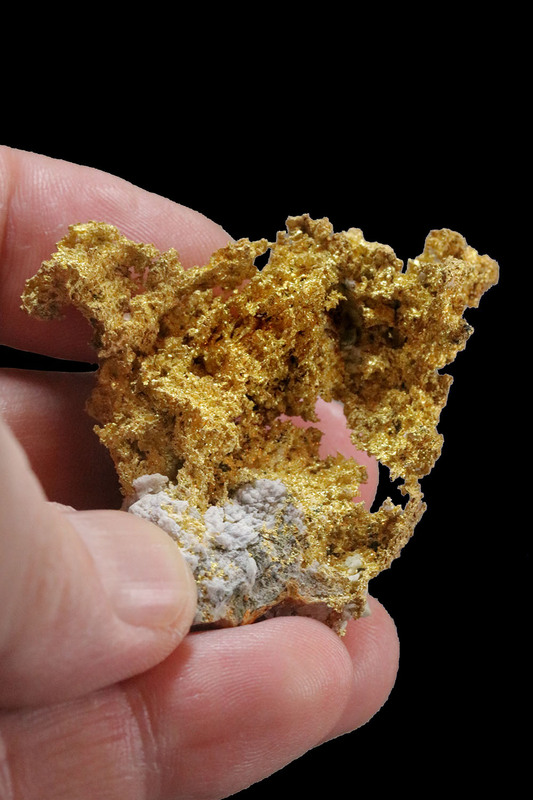 The Sixteen to One Gold Mine in the Alleghany Mining District of California was a bellwether gold producer for over seventy years. The mine has been closed for decades, but was one of the largest producing gold mines in California. 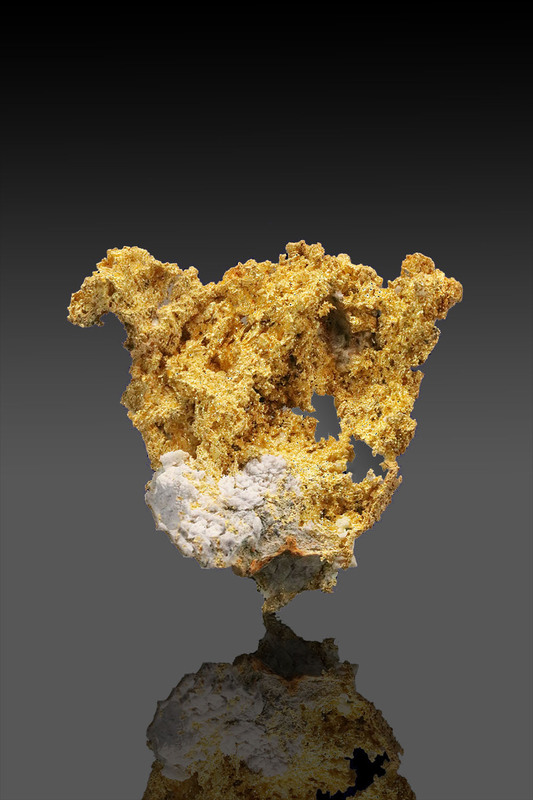 This specimen is a large and fantastic example of the unique gold that came from the historic location. 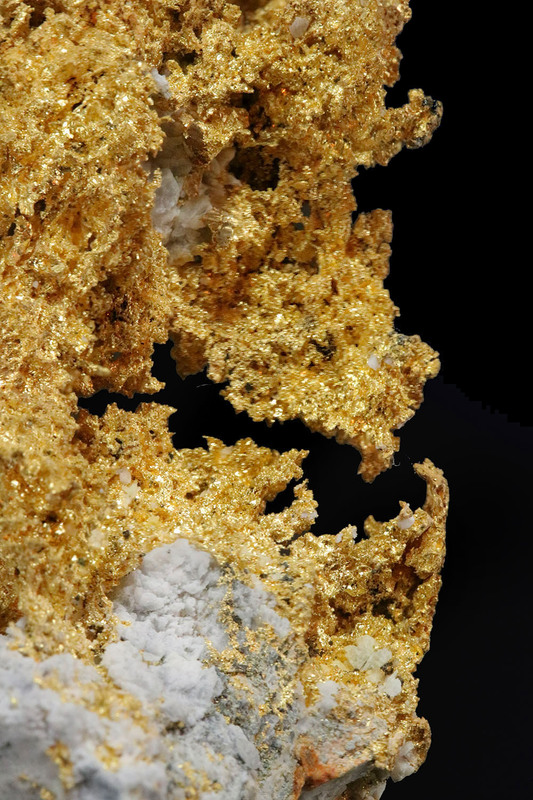 This specimen is mostly gold, with a minimal quartz base. 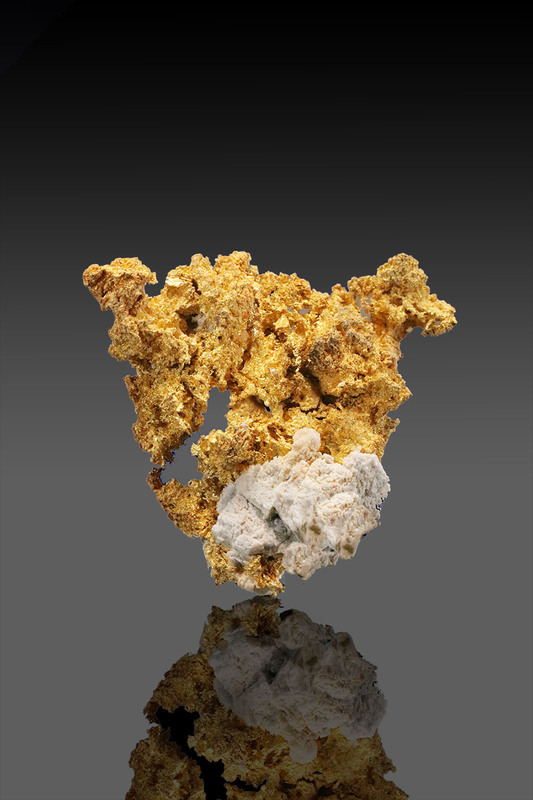 The gold is a brilliant and crusty crystalline gold with a sturdy and intricate form that arches over to one side and almost connects to the bottom half of the specimen. 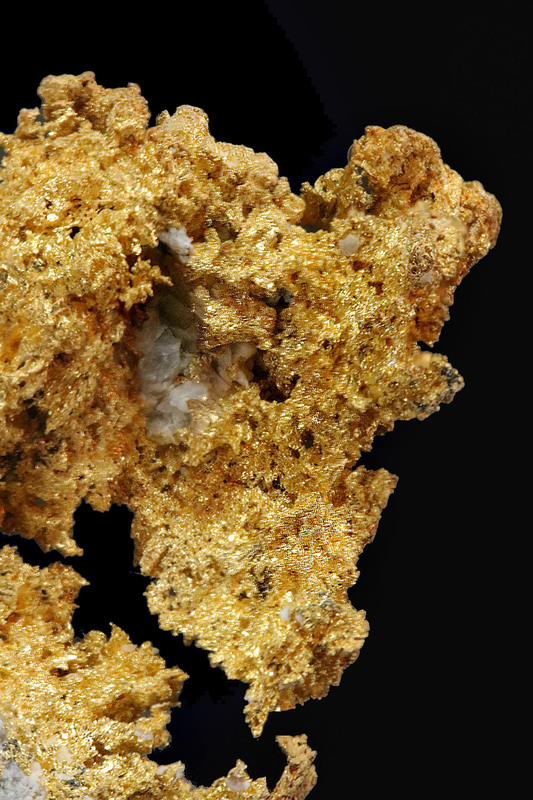 A beautiful piece of California gold.